Under-five Mortality Rate (2015): 16 deaths per 1,000 live births (ranked 104 of 193). Source: UNICEF SOWC Report, 2016. Human Development Index (HDI) (2014): 0.755 (ranked 75 of 188). Source: UNDP, Human Development Report, 2015. In 1966, when ChildFund initiated its activities in Brazil, the country was under an authoritarian regime which lasted for another 20 years. In 1971, by mandate of the National Council of Social Assistance, ChildFund Brazil integrated its National Board and in 1979, the organisation started raising funds through local sponsorship. In January 1983, responding to the new guidelines for community participation in local development, the organisation initiated the creation of entities managed by volunteer parents of sponsored children. With that change, families started to act as agents of their own development. ChildFund Brazil is present in seven (7) states, 42 municipalities, working with the support of more than 2,800 volunteers through 50 local partners. In fiscal year 2015 (FY15), more than 178,000 people benefited from the social programmes in Brazil of which 56,000 were children, adolescents and young people in situations of social risk. Society Committed to the Rights of Children. ChildFund Brazil integrates resources, technologies and approaches to create solutions for the main challenges faced by children and youth. Our strategy values the family’s role in creating a nourishing environment for child development and fosters community involvement in the diagnosis and implementation of programmes addressing their needs. Results in these programme areas are discussed in 2015 Programme Achievements. The context analysis clearly shows that families, society and government need to act together in order to guarantee that every child survive, develop and have her/his rights granted. This programme responds to the specific attention deserved and needed during early childhood, considered to be the most important developmental phase of an individual’s life. The complete attention to this age group influences school success, and the development of resilience and self-esteem factors, which are necessary for ongoing learning, the formation of relationships and self-protection, and required for economic independence and the preparation for family life. The strategic objective of programmes in the life stage is to promote the survival and development of every child and the granting of their human rights. 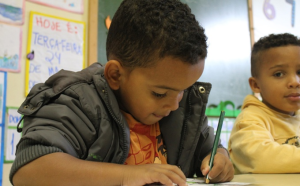 To guarantee its commitment and to support these common efforts, ChildFund Brazil has implemented the Family Competences and Essential Education project and created a favourable environment for the realization of the right to survival, development and protection during childhood. In FY15, ChildFund Brazil’s “Taking Care of the First Years of Life” programme benefited 8.236 children through 31 projects, with an investment of R$4.720.000 ($1.2M USD). 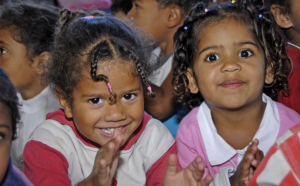 Focusing its efforts on transforming fragile conditions and exclusion in education, ChildFund Brazil developed a programme in response to problems such as violence in schools, dropout rate, and learning performance. These problems increase exposure to social risks and increase exclusion and vulnerability. School is an essential element in the learning process. In order to guarantee the human right to learn, it is necessary to integrate the school with other learning spaces and stakeholders. Education goes far beyond the classroom. Streets, parks, community youth centres, family environment and other spaces have the potential to become learning places where children play, explore and discover themselves, others and the world. Education, besides being a fundamental right, broadens and ensures other human and social rights, thus seeking to address social inequalities related to region, gender, race, and ethnicity. It seeks to listen to, give voice to and promote the participation of children and adolescents. The strategic goal promotes every child growing up safely and with confidence, and developing her full potential. In FY15, ChildFund Brazil’s “Educated and confident children” programme benefited 34.902 children through 66 projects, with an investment of R$5.826.000 ($1.5M USD). An efficient strategy for combating violence against youth involves attacking the underlying causes, which could have an ancillary effect on other forms of violence. The youth’s family and community constitute a space for greater proximity towards restoring their bonds, enhancing dialogue, and building opportunities within a vision of the future. The strategic objective is to promote every youth actively and productively participating in society, and living in peace. 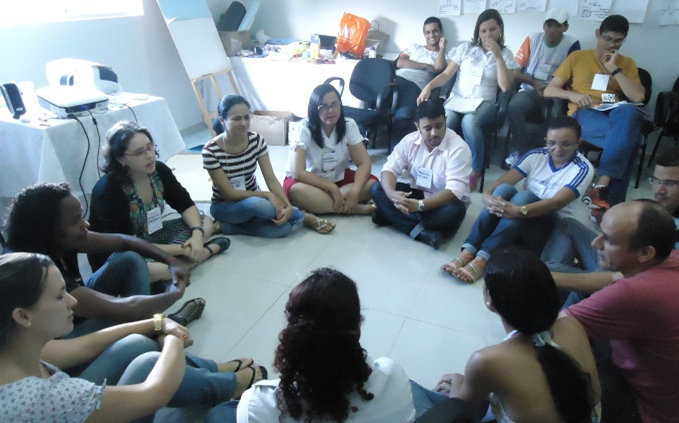 To achieve this objective, ChildFund Brazil has implemented the following projects: Identity and Citizenship Culture; Personal and Professional Qualification; and Youth Voice: Promotion of youth participation in the decisions made in their families, communities and even government. In FY15, ChildFund Brazil’s “Skilled and Involved Youth” programme benefited 12.672 teenagers through 62 projects, with an investment of R$2.047.000 ($517,043 USD). In São João da Chapada, a small district next to Diamantina (Minas Gerais), live small communities with quilombola origin, who for years have been left on the margins of society. Since the days of diamond extraction, when the miners drove them from their lands, these people were relegated to living amid extreme poverty, in situations of social risk. Only now, a new horizon has emerged as a starting point. A simple community garden, where they reap much more than vegetables: they reap citizenship. In July 2011, ChildFund Brazil implemented the community project “Planting, harvesting, eating”, in partnership with the local partner Walking Together (Procaj). According to Joariza Conceição Souza Santos, the general coordinator of the organisation, the first step was to identify the issues, so that the right interventions could be implemented. The issues included: irregular diet; lack of a common space of coexistence; perceived geographical and cultural isolation; racial segregation of the population; lack of organisation to promote participation; no political representation; and lack of access to infrastructure and socio-economic investment policies. In this context, ChildFund Brazil discovered numerous social problems: children suffering from hunger and malnutrition; drug abuse among youth mainly stemming from the lack of parental involvement; paternal abandonment in homes; and child sexual exploitation, among other problems. Since the implementation of the project/community vegetable garden, the transformation in people’s lives is already quite visible. Produce is being sold, which is generating income for the families. “We have many partners, but nothing is done by donation. “We teach to the community that everyone can do something in return for what they need”, says Joariza. The results: with a regular and balanced diet, there has been a decrease in the number of sick people, improved self-esteem, and better behaviour and performance in school from children. A sense of community has been embedded, which has sparked other positive social elements that previously didn’t exist, e.g., the creation of a youth council, and freedom of cultural expression (such as the dance “foul”). As the anchor of ChildFund’s strategy, this programme provides a process where children, their families and the local partners work together to collaborate, implement, and monitor local development plans, through active participation and involvement of diverse governmental and nongovernmental agents (actors in the Rights Watch System). With this approach, ChildFund Brazil strives to prevent domestic violence, mitigate conflicts within the family and communities, improve the livelihood of families, promote empowered participation in decision making processes and organise all stakeholders around child rights protection and promotion. The strategic goal is to motivate families to protect their children and participate in community life within representative and transparent community organisations. To achieve this goal, ChildFund Brazil has implemented the following projects: Strengthening of the Interpersonal Bonds; Sustainable Livelihood, Sustainable Families; and Community Life: Participation and Citizenship (Knowledge and entrepreneurship to overcome poverty). Public policies that should prioritize the improvement of the lives of children and adolescents are essential towards undertaking social transformations. Those actions mobilize the government and the society in general towards issues related to childhood and adolescence. For those policies to be comprehensive, they must consider issues such as race, ethnicity, gender and region. The strategic goal of this programme is to seek everyone’s involvement – either through direct action, or participation, and request changes by the appropriate authorities – to ensure that rights are granted, respected and protected. With the purpose of seeking everyone’s involvement, ChildFund Brazil has implemented the projects Municipal Competences and Society mob. In 2015, ChildFund Brazil’s “Protective and Participative Families” and “Society Committed to the Rights of Children” benefited 121.969 adults, through 115 projects and an investment of R$7.400.000 ($1.9M USD). Brazil’s economy is facing a time of recession, and the first to suffer from this situation are the people in poverty. The country does is showing limited prospects for growth, inflation is above the target which has been established by the government, interest rates have increased again, and job creation has been reduced. Social inequality, which was already a large problem across the country, now is more accentuated. The richest 10 percent of people in Brazil have access to over 40 percent of the country’s income. On the other hand, the poorest 10 percent receive about percent of the income. 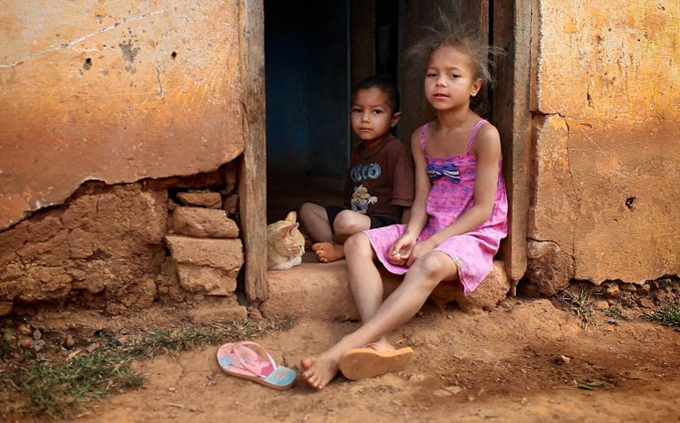 Children are the most affected, with an estimated 8 million Brazilian children living in extreme poverty. Thousands are excluded from the opportunity of having a healthy development and their human rights are denied, making them vulnerable to situations of violence, abuse, exploitation, discrimination and negligence. A decree plan from the Ministry of Social Development and the Fight Against Hunger, Brasil sem Miséria (Brazil without Misery), sets an income of R$ 77 per capita per month ($19 USD) and below as the level of extreme poverty. As a result, 10.45 million people are living in misery. Even those who are living above this level are subject to deprivation, exclusion and vulnerability, as evidenced by Brazil holding the shown as Brazil holds the 85th place in the international Human Development Index (HDI) ranking from 2015, composed of 188 countries. Another challenge is child labour. Poor families generally prefer that their children start working as soon as they are capable, to contribute to the family’s survival and household income—despite it being illegal to employ a child less than 16 years of age. In Brazil, more than 3 million children and adolescents are in situations of child labour and 2.8 million children are out of school. Further, another big challenge concerning children’s rights is that Brazil’s congress is currently considering lowering the age of criminal responsibility, from 18 to 16 years old. If passed, the legislation would mean some children would be tried as adults, face the same criminal penalties, and could be sent to an adult prison. According to the Violence Map 2012 – Children and Teenagers from Brazil, (developed annually by the Brazilian Centre for Latin American Studies – Cebela), approximately 40,000 children and teenagers were treated in 2011 by the Unified Health System (SUS in Portuguese) as victims of domestic and sexual violence, among other issues. In two of three cases, the home was the place of aggression with the aggressor being someone really close to the family. From the treatments carried out: (1) a little over 40 percent were related to physical violence (age range from 1 to 19 years old); (2) 20 percent to sexual violence (from 5 to 14 years old); (3) 17 percent registered moral and psychological violence; and (4) 16% of the cases, negligence and abandonment (big concentration between ages 1 to 4 years old). In 2013, there were 31,725 reports of sexual violence against children and adolescents. The best strategy to tackle violence against children is prevention and prevention must involve the government and the entire society. 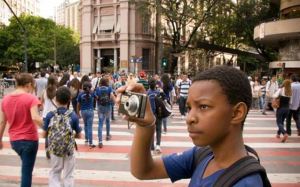 As an example, since Brazil ranks fourth in the world in terms of number of smartphones, this technology could be transformed into an ally in the fight against violation of children’s rights and freeing children and youth from violence. In short, dignity has not yet been achieved by millions of Brazilians, who are still in need of social assistance. We must persist in carrying out social technologies which will positively impact the lives of children and youths from birth to twenty four years of age, which will bring them and their families improvement in basic needs, opportunities, perspectives, and hope. 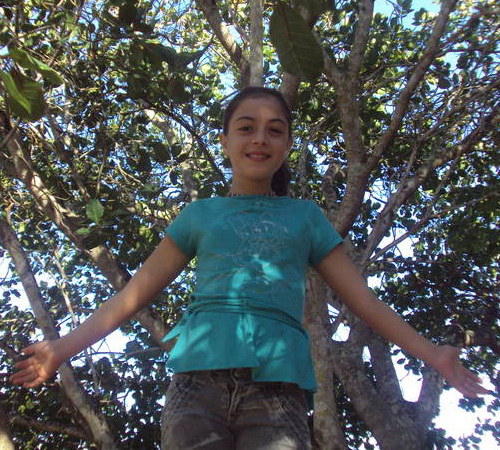 “I’m 24 years old and since I can remember, ChildFund Brazil was part of my life. I was born in Tourmaline (Jequitinhonha Valley, Minas Gerais), and with only 42 days of life I was sponsored by a ‘fairy godmother’. She sponsored me until I was 19 years old. I remember the letters I wrote to my sponsor and the anxiety to have them answered. But, unfortunately, my ‘fairy godmother’ never answered they back and I don’t even know how she looks like. However, my gratitude to this woman is eternal. Sponsoring a child is a noble act and to be sponsored is the best feeling! In the future, I want to do for a child what my sponsor did for me, I dream of this day. I volunteered for many years at ADECAVE (local partner), as a correspondence agent, and I had the opportunity to participate in many happy moments in the lives of several children. And I can assure: the best feeling in the world is to see the big smile they give when they know that they had been sponsored. Pedro Ferreira is only 13 years old but already carries in his luggage many stories and a lesson to teach: “I can’t be the enemy of anyone, ever. When I’m sad I go to SOAF (social partner organisation of ChildFund Brazil), talk to my friends and teachers. And when I see, we are friends again! I found that I can’t keep anger.” For him, that’s what makes him a different kid and has even been congratulated by a teacher for being a person who holds no grievances and knows how to forgive. He said that when he goes to SOAF he feels relaxed, forgets the problems, and can be happy to be there with his teachers and friends. Born in the semiarid Cariri, Pedro is a cheerful and friendly boy, in love with sports. His biggest dream? “Being a footballer like Neymar”, he says. To achieve this dream, Pedro doesn’t miss a football practice in SOAF (local partner), where he is a goalkeeper. He said it is difficult to defend the team, but ensures that he will be as good a player as his idols, so he dedicates that much. In the organisation, he also participates in film sessions, takes flute lessons, and would like to take guitar lessons, but as they are on the same day of football practice, the boy prioritized the sport. The prospects of the future, however, do not erase memories of a recent past. Some time ago Pedro, had no bed and furniture, and so he slept in a hammock in the house where he lives with his parents and his brother in Cariri. “My sponsor gave me a bed, mattress, wardrobe, everything. Because before I had nothing! She is very good and I like her a lot”. His sponsor is American and has a very strong emotional bond with Pedro, always sending letters and gifts. She says that she prays a lot for Pedro and likes him very much, a feeling that is completely mutual! Pedro dreams of meeting her, but believes that distance hinders this meeting. Despite all the financial difficulties, Pedro never ceases to be a cheerful and optimistic boy. If he could get a message to someone he does not know, what would Pedro say? “Do not give up your dreams, never!” he says.